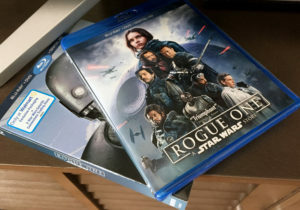 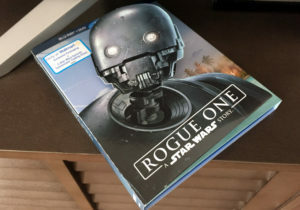 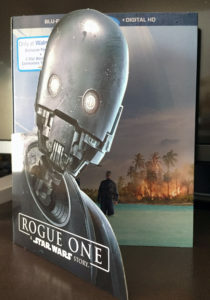 Rogue One was released on blu ray and DVD by Disney/Lucas Film on April 4, 2017. 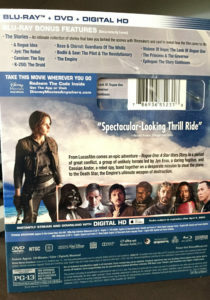 Special Target, Best Buy and Walmart editions were available. The main difference is in the packaging. 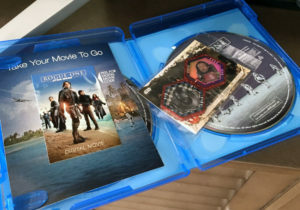 The Target special edition came with 5 different cover cards that you can swap out and also two additional bonus segments. The Best Buy special edition includes 3D version of the movie in a steelbook packaging. 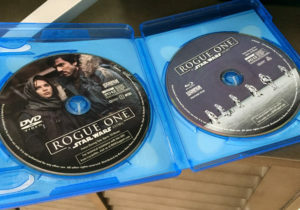 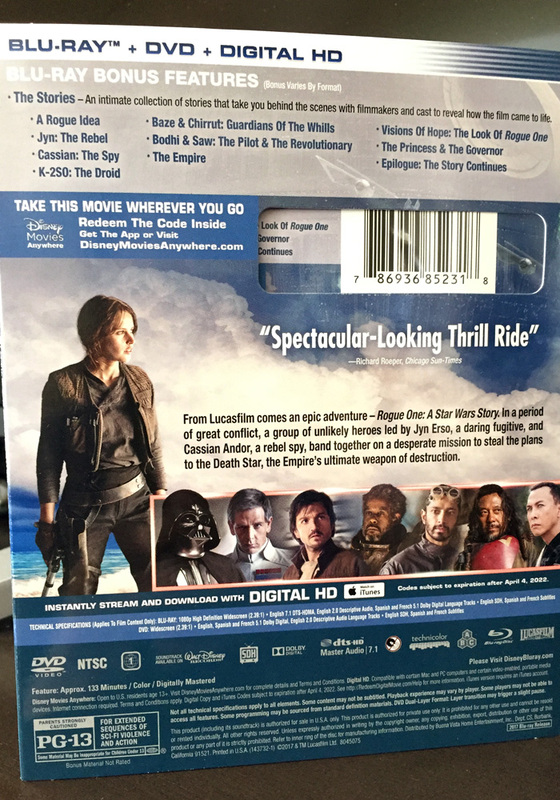 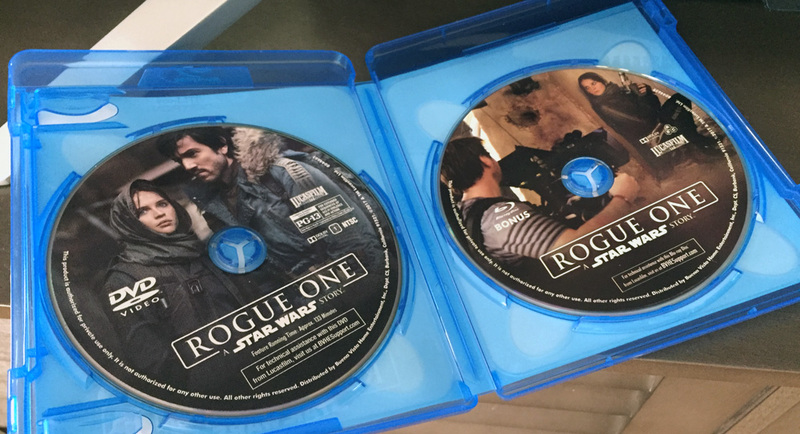 The Walmart exclusive edition comes with 2 star wars galactic connexions trading discs from Topps. 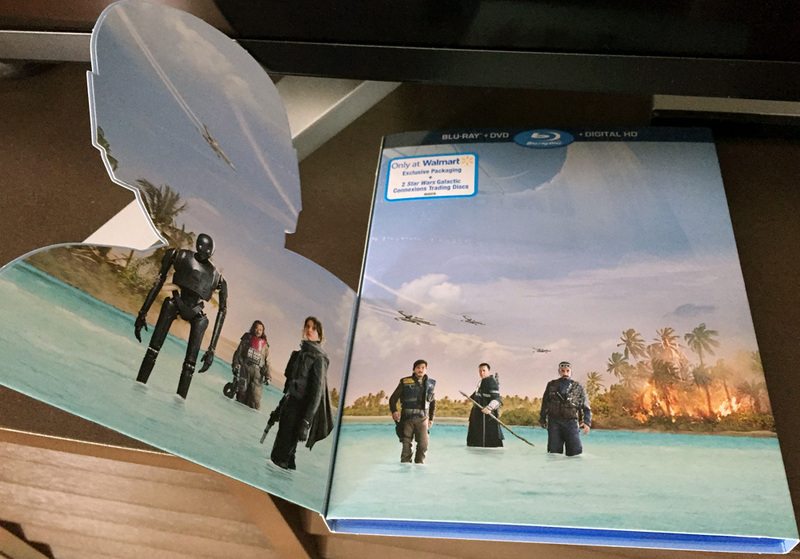 As an added feature, the packaging slipcover (K-2SO) also folds out.